MCMA is proud to have the finest minds in the industry teaching our Certified Motion Control Professional courses. They represent some of the leading companies in motion control. You’ll get to learn directly from these experts and ask practical questions related to your particular challenges. Mark Holcomb is the Senior Motion Control Engineer at Celera Motion. He studied at the University of Buffalo (MS 1994) and began his professional career at CSA Engineering (now Moog) in Palo Alto, California. In 1997 Mark started his own consulting company, focusing on work at KLA-Tencor conducting model testing and servo loop modelling, tuning, and testing. Joining Celera Motion in 2015, he has focused on writing software for motor analysis and automated testing of motors and mechatronics products. He also conducts training classes for sales and applications team members, and works closely with cusomters to assist them in solving their motion control needs. Nate Holmes is the R&D group manager for motion and vision product lines at National Instruments. Prior to joining R&D he spent time as a group manager and senior product manager in marketing for various embedded systems products including EtherCAT and Expansion I/O in addition to Motion and Vision. He joined National Instruments in 2007 as a member of the Application Engineering department where he worked as the Vision and Motion Team lead and was actively involved in supporting NI’s efforts with FIRST robotics. Nate received his bachelor’s degree in mechanical engineering from the University of Florida. Keith H. Knight is currently the Manager of New Product Innovation for HaydonKerk Motion Solutions and Pittman Motors of the Ametek AMS division. In this role he has taken the lead on the technical direction for the division by combining market conditions with emerging technologies to prime the product development funnel. 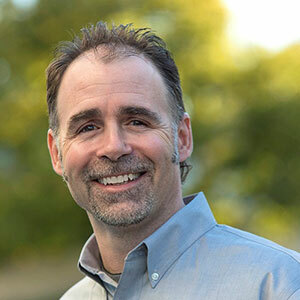 Prior to his current role, Keith held positions as the Product Manager, and Engineering Manager for HaydonKerk Motion Solutions and has spent his entire career in the arena of motion control. Prior to his professional career Keith graduated with honors from Wentworth Institute of Technology of Boston MA with a BS in Electromechanical Engineering. With a degree in Electrical Engineering from the University of Wisconsin - Madison, Matt Pelletier has been with Yaskawa America since 1999. Matt has worked extensively with Product Engineering to develop interactive hands-on training for Servo Tuning, IEC 61131, PLCopen, and advanced programming workshops for Rotary Knife applications and PackML. Matt has also created a library of training videos with hands-on access to remote servo and controller equipment. These courses are available free of charge on Yaskawa’s website (www.yaskawa.com). Otherwise known as "Matt Servo", he is a specialist in the application of Yaskawa Servos and Motion Controllers in a variety of industries, authoring several articles in various publications. Marissa K. Tucker is responsible for Parker Electromechanical Division's Control and HMI product portfolio where her duties include creating alignment between key market segments, new product development, and product messaging. Marissa has experience within the controls industry for 5 years with a rich history in both the technical and business side. As graduate in mechanical engineering, she gained both her electrical motion control knowledge beginning as an applications engineer at Galil Motion Control. Marissa’s interests lead her into distribution where she gained both customer-facing and field application exposure during her tenure at Steven Engineering. In Marissa’s current position she continues to work directly in the market to produce control and HMI products that focus on both capability and ease of use. Jim Wiley is a Product Manager for servo and stepper drives with Parker Hannifin Corporation's Electromechanical and Drives Division, where he has spent his entire twenty-year motion control career. After graduating from Carnegie Mellon University with a Bachelor’s degree in Mechanical Engineering, Jim joined Parker's Daedal Division as an engineer.